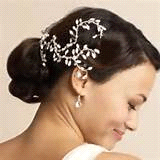 Add sparkle to any occasson with a simple and easy to apply hair accessory. They come in all shapes and sizes from hair bands, chains and hair pins to clip in’s and flowers. 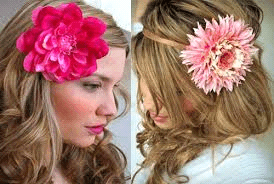 You can make it as simple as just using a comb with crystals to softly pin back one side of your hair or adding a simple plain hairband or you can make it more elaborate by adding crystal or pearl pins or a big oversized flower. 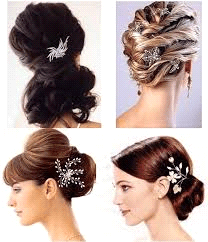 Either way it is an easy way to add some fabulous glamour to any hair style.